Samsung has launched its two new mid-range smartphones with Infinity Display and side-mounted fingerprint scanner – the Galaxy J6+ and Galaxy J4+. The Galaxy J6+ comes with a 6-inch HD+ Infinity Display. Under the hood, it is powered by 1.4GHz quad-core processor, up to 4GB RAM, and 64GB of internal storage. It is equipped with 13-megapixel + 5-megapixel dual rear cameras, 8-megapixel selfie snapper, 3300mAh battery, and a side-mounted fingerprint scanner. Jumping off to the J4+, this model works as a toned-down version of the latter model. However, it still packs the same display, processor, battery capacity, and side-mounted fingerprint scanner. On the other hand, it can be coupled with only up to 3GB of RAM and 32GB of internal storage. It sports 13-megapixel single rear camera, and 5-megapixel front shooter, too. 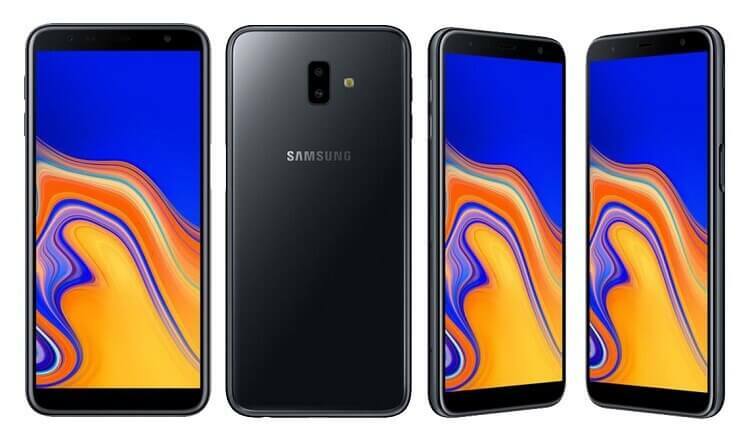 Source: Samsung Intros Galaxy A7 (2018) with Triple Cameras! Meanwhile, its official pricing and availability are yet to be announced. So, stay tuned!